I’ve heard a lot about this book in the last several weeks. And I was curious about it. So I reserved it at the library and read it in less than 48 hours. I enjoyed the easy style and pace of the novel. It was easy to get excited about the story and root for the characters. It’s one of those books that takes no time at all to read. A book you can keep turning the pages and fly through the chapters. I’m glad I got to read one of those. It’s been a while. 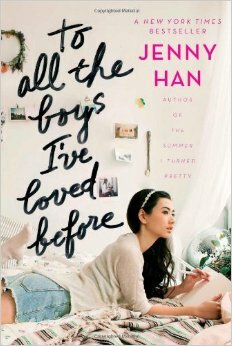 Published in 2014, To All the Boys I’ve Loved Before chronicles the all too familiar experiences of a girl’s first crushes. Lara Jean has written 5 love letters to the 5 boys she’s loved at some point during her life. She seals them and addresses them. Then they sit in the hat box her mother bought her–which is especially important to her because her mother died soon after giving it to her. The letters are never meant to be sent and never meant to be read. Until one day when they are mailed. Lara Jean is a very likable narrator. I feel like most girls will feel a connection to Lara Jean. In many ways, she is the quintessential high school girl. She has crushes on different boys. Some boys she likes are popular. Others are summer flings. And others should be out of her reach. She is a little awkward. She likes to dress up on occasion. Sometimes she would rather stay home in her pajamas and watch TV with her younger sister. She loves her family, especially her sisters. She’s learning how to take care of her family and forgets to go grocery shopping sometimes. She has a love mostly hate relationship with driving. Ultimately, she wants to fit in. I loved Lara Jean for all these qualities. And she also drove me crazy at times because of them. More on that in a bit. Josh is that classic boy-next-door guy. He’s kind, thoughtful, always around, treats everyone like family, and happens to be good looking too. Oh, and he’s dating Lara’s sister Margot until Margot goes far away to college at St Andrews in Scotland. He’s border line the brother Lara Jean never had. Except that she’s liked him for longer than he’s dated Margot. And then he gets her letter telling him how much and how long she’s loved him. I want to like Josh. I want to believe that he and Lara Jean can be together. But honestly, their relationship is a bit too complicated and it can’t be simplified. I don’t like the way Josh starts to like Lara Jean after her letter is sent, especially since he dated her sister for so long. Not cool. I couldn’t see that ending well and ultimately it didn’t (see the Christmas recital party fight). Perhaps if Josh and Lara Jean got together first things would be different. That would be an interesting alternate reality. Peter is truly the boy everyone has a crush on. Popular, smooth, handsome. He’s dated an equally popular girl for years and they seem to establish the popularity circles at their high school (oh, high school). And yet he is also kind and approachable in a way many “popular” boys don’t seem to be. I love that he is Lara Jean’s first awkward kiss that she would rather take back. He is the first to confront Lara Jean about his love letter. And that sends the novel into a complex love and fake love triangle. 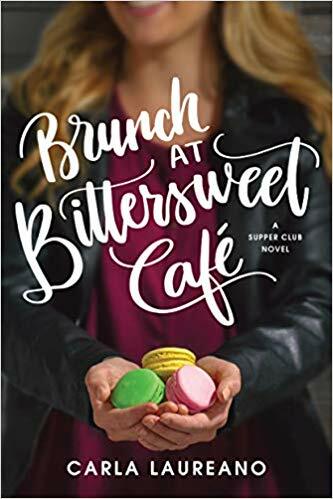 He and Lara Jean pretend to date for separate reasons–Lara Jean to show Josh she has moved on and Peter to show his old girlfriend Genevieve. And, of course, it just gets more complicated from there. I love reading about Peter and Lara Jean’s relationship. Their adventure at the estate sale one Saturday is one of my favorite moments in the novel. I love that Peter plays with Kitty. I love when he gets Lara Jean donuts and that he writes her notes everyday. I love that his friends accept Lara Jean and give her a goofy nickname. I love that Lara Jean begins to see a new side of Peter and that he helps her build relationships with more people. They seem to compliment each other very well. And suddenly, neither is pretending anymore. Most of all, I love that Peter and Lara Jean actually start to like each other. But I had several qualms about the story as well. The book felt very high school to me. Meaning, I grew tired of the immature ways people talked to each other or what they fought about. I didn’t enjoy the rumors about people (especially Lara Jean and Peter in the hot tub). I wanted there to be a bit more to the high school experience than how far people go and who likes who. There were glimpses of something else, but I wanted to see more. Perhaps I am just past high school and high school relationships. I’m not sure I will read the sequel. I have heard mixed reviews of it. And I am definitely a person that likes to see certain characters end up together and in love. Sounds like things continue to get complicated in the next one so we will see. Any recommendations for the sequel? What did you think of To All the Boys I’ve Loved Before? Yup, this is basically how I felt about the first book. A little bit too juvenile for me. (I also was not into Josh. Definitely not cool and borderline skeevy, the way he started making moves on LJ.) You saw my review on the sequel, but I do think it’s a decent read if you’re at all invested in Lara Jean, because she does mature as a character & that’s kind of nice to see… even if the book IS still entrenched in high school drama. Hello! I have also read this book recently and didn’t enjoy it as much as everyone else did. Truly, I wanted to enjoy it but it all seemed so cliche to me. I also don’tead a lot of contemporary due to that and was hoping for a dragon to swoop in and make things more interesting! However, I did enjoy the fact that their was a lot of background info about how Lara Jean was mix race and the food she ate and how she missed her sister in Scotland, to be honest, I think that is the reason why I continued to read the book rather than due to the romance and relationships. Great post! Thanks so much for stopping by! I agree that the background about Lara Jean and her family was fun and interesting. I enjoyed when Peter would hang out with Lara Jean’s family too. That made him more likable as well. Thanks! I had this book in my hand the other day…but it seemed like it was better suited for a younger reader. I ended up with “I like you just the way I am” by Jenny Mollen. 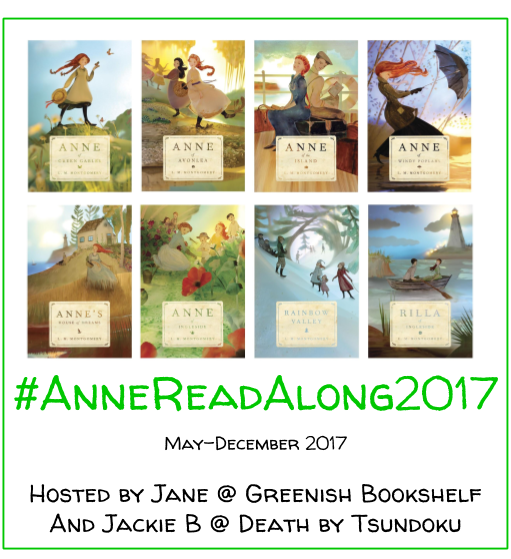 I agree that younger readers would definitely like this book. It’s a funr ead but since I’m not in high school anymore I found some of the high school drama unexciting. What did you think of “I like you just the way I am”? I’m assuming it will be the kind of hilarious that some people will find very offensive. It looks fabulous! Thanks so much for your reply! I’m glad to hear questions are answered in the sequel. Do we get more of John in the sequel? I felt like that relationship still has so much to develop. I appreciate your thoughts! Thanks so much for stopping by!